We can provide any sound or audio equipment, staging and expertise to clients who require this. Get a professional “tag” recorded to place over your DJ sets to help with your own brand recognition. These can be simple or detailed depending on your style. We can also use effects and sounds to create an intro for your event, or big gig! If you are releasing a compilation CD of music that needs to be seamlessly mixed, for non stop playback, then we can do this here at Cosher Recording Studios, Cape Town! 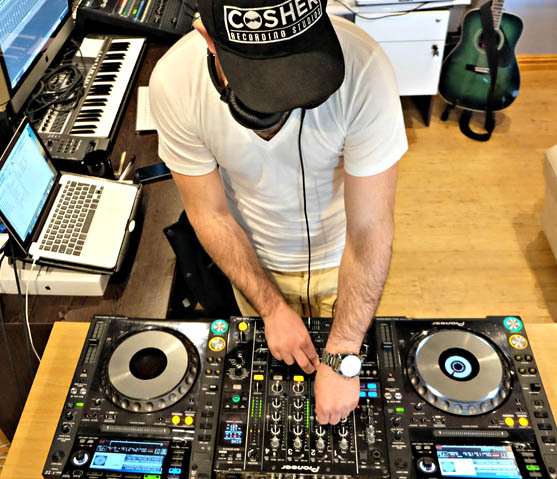 Our experienced DJs can teach any aspiring DJ everything they need to know in order to be able to get booked at gigs and mix music for money. From beat matching, tempo syncing, EQ mixing, mashups, scratching, song selection and more. If you need a DJ for any event, Wedding, 21st, corporate, or night club, then this can be provided. This will include full equipment setup if needed. If a specific playlist or genre is needed, this can be discussed and provided for.